QOMO QWB Infrared series Interactive Whiteboards are changing the way many educators engage students and present dynamic curriculum. Perfect for the classroom or anywhere there is a need for interactive instruction. 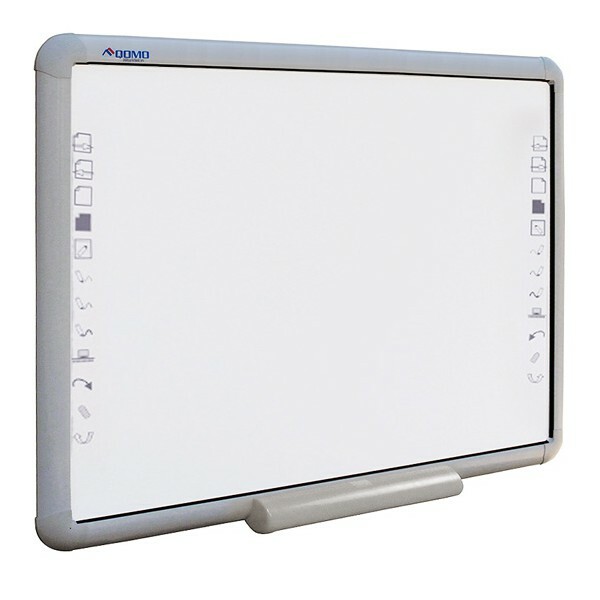 QOMO engineers utilized advanced technology to make QOMO QWB IR series of whiteboards SIMPLE, RELIABLE, POWERFUL and AFFORDABLE. Teachers are free to use the supplied felt Pens, extension Wand or even their fingers to annotate over most anything on the computer screen. QWB200-BW Surface also is Dry-Eraseable!! QWB200-BW comes with full featured annotation software Flow!Works that can enhance teaching and presentation effectiveness.